Ten new railways with an aggregate operating mileage of 2,500 km will be put into service by the end of this year to enhance the capability of China's high-speed rails, sources from the China Railway said. 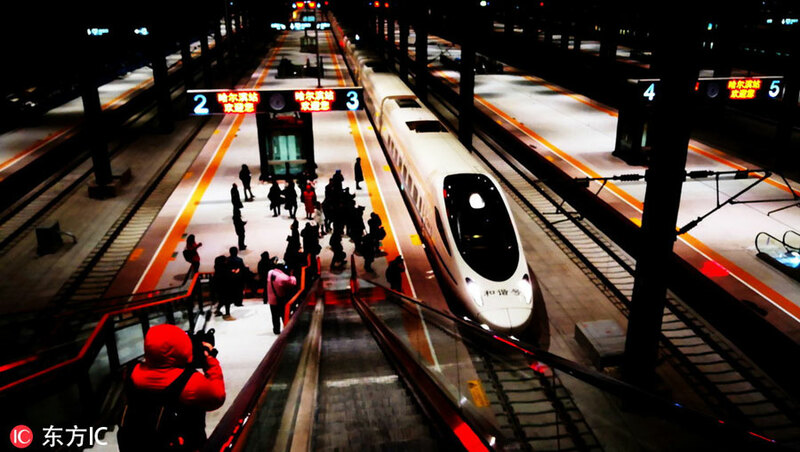 About 553 new high-speed train services will be introduced simultaneously, which is expected to elevate China's high-speed rail transport capacity by 9 percent, according to the sources. 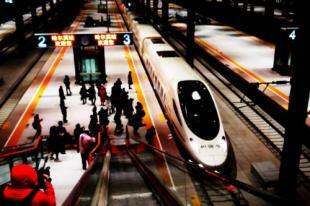 The change will also make high-speed railway services available for the first time in a dozen cities, including Fuxin and Chaoyang in Liaoning Province, Chengde in Hebei, Tongliao in Inner Mongolia, Mudanjiang in Heilongjiang, Rizhao in Shandong, Lianyungang and Yancheng in Jiangsu, Ya'an in Sichuan and Lijiang in Yunnan. The travel times between some cities are also expected to be shortened. For instance, it will take three hours less for passengers to travel from Harbin to Mudanjiang, and nearly seven hours less from Mudanjiang to Beijing. A new train diagram will be put into use on Jan 5, 2019.